The end of the U.S.-China trade war may throw up a surprise winner amongst Asia-Pacific currencies other than yuan: the Singapore dollar. Whilst traders have highlighted the Australian dollar, the Korean won or the Taiwan dollar as beneficiaries of a truce given the nations’ direct economic reliance on China, one metric shows that the Singapore dollar has the strongest link to the yuan amongst 12 currencies looked at by Bloomberg. 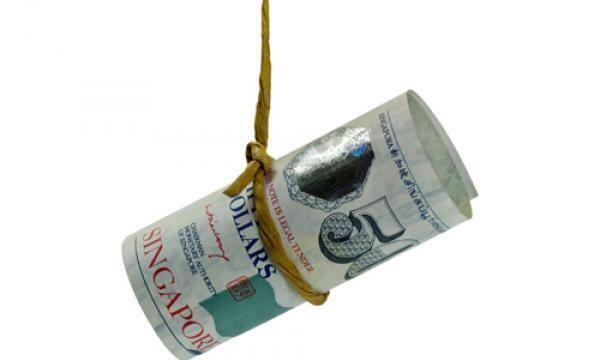 About 41% of fluctuations in the Singapore dollar in the past two years could be explained by changes in the offshore yuan, higher than 26% for Taiwan, and 22% for the Aussie, according to a correlation gauge. That’s because trade makes up an out-sized share of growth for the city state, which saw exports slid the most in more than two years in January amid the ongoing tariff tensions. HackerOne’s new Singapore office will focus on government, technology, and enterprise customers. The company claims over 1,200 organisations, including the Singapore Ministry of Defence, GovTech, and Grab, rely on its service to find critical security weaknesses. The Nasdaq Hearings Panel has given Reebonz Holdings Limited, a Singapore-based online luxury marketplace, until March 29, 2019 to comply with all the applicable requirements for initial listing on the Nasdaq Stock Market or face potential delisting. In a statement, Reebonz said its ordinary shares continue to be listed on the Nasdaq Capital Market after it appealed a December decision that found the company’s failure to meet Nasdaq’s minimum shareholders’ equity requirement of US$4m. Should the company succeed in demonstrating its capabilities, its shares will be transferred to the Nasdaq Global Market.